Gaia & Gino, imported from Turkey. The Mistic Small Candle Holder stands 7 7/8" tall and is available in either clear, silver or bronze. 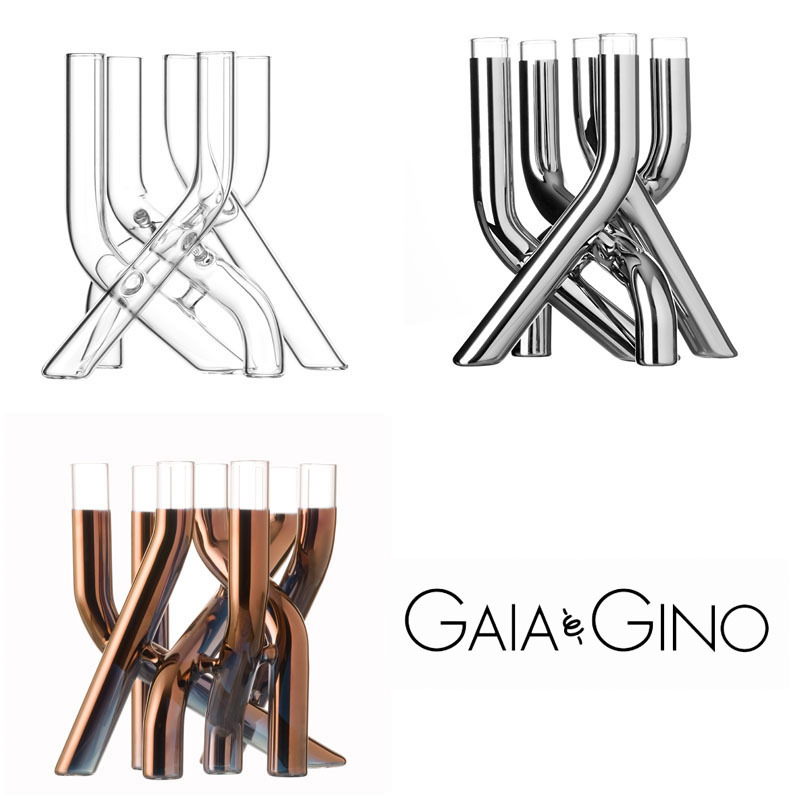 The Mistic Candle Holder was designed by Arik Levy for Gaia & Gino. Mistic creates a contemporary vegetal landscape with strong dynamics, like a forest of Pyrex tubes. The Mistic Candle Holder can be used with standard candles or as decorative art object. This candle holder is made of high quality borosilicate glass. Arik Levy is one of the most promising designers of the 21st century. "If I hadnt been a designer, I would have been a scientist," says Arik Levy. The Paris-based industrial designer has captured the attention of companies like Vitra, Ligne Roset, L'Oreal and Renault. "I work like a researcher in a lab, searching for the genetic codes of materials or companies. Once I've decoded them, I inject my own gene in different places." He believes that changing this "genetic code" essentially creates a new material. "I try to use materials in places they are not normally used to give them another kind of life." Using unconventional thinking and smart design processes, Arik Levy transforms everyday household objects into striking works of art. His latest creations for Gaia & Gino are irresistible and functional design objects. Candle cups sold separately. Price is $185.00 for a 7 piece set. Usually ships in 8 weeks.